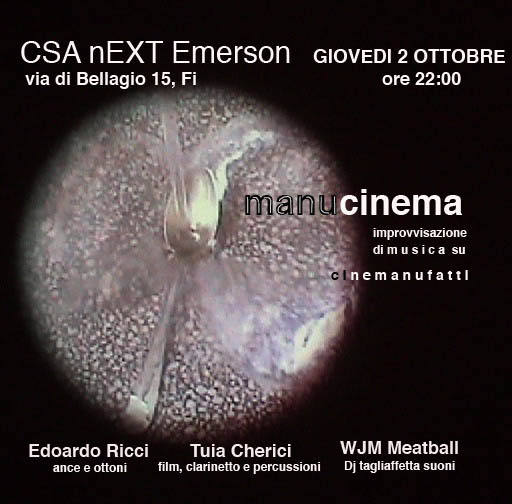 CSA nEXt Emerson – via di Bellagio, Castello (Firenze) zona stazione di castello, alla prima rotonda di via sestese a destrain via R. Giuliani e poi alla prima a sinistra dopo il distributore di benza. Mittwoch 1. 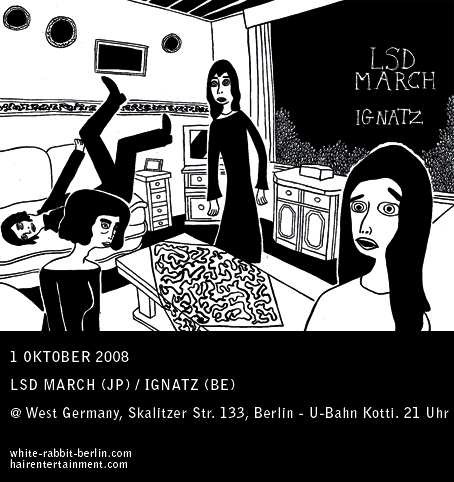 Oktober @ West Germany: Blumenbouquet & Rotwein /LSD March (Jp) u.v.m. Mittwoch Oct 1 @ WestGermany – 21 Uhr/Beginn: 21.30 Uhr! combos is an incredible restraint and consequent attention to detail. Keiji Haino, Fushitsusha, Miminokoto, Highrise — the list goes on and on. Smith’s Anthology of American Folk Music. 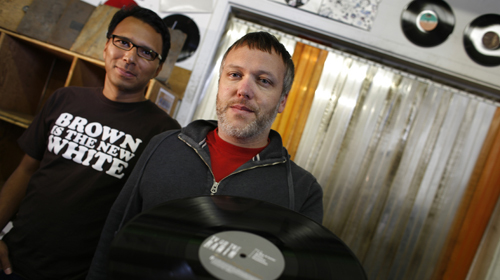 AHEAD OF THE CURVE: Monti Olson, left, and Jeff Bowers launched the vinyl-only Original Recordings Group label in December 2006. It will release 10 albums in 2008 and expects to put out twice that number in 2009. When the doorbell rings at Monti Olson’s Glendale home in the middle of the night, it can mean only one thing: Jeff Bowers, his partner in Original Recordings Group, has brought new album artwork for him to inspect. "I’ll come out in my pajamas and look it over," Olson said. "He drives home, and I’ll go back to bed." Olson’s doorbell is chiming more frequently these days. Since starting vinyl-only label ORG in December 2006 in Olson’s kitchen, the label is bursting at the seams. "By the end of the year, we will have gone from making zero money to projecting that we will gross over $1 million," said Olson, who nevertheless has kept his day job as senior vice president of A&R at Universal Music Publishing Group. The label, which primarily licenses material from Universal Music Group, will release 10 vinyl albums in 2008 and expects to put out twice that number in 2009. But ORG isn’t the only one reaping the rewards. Many Southern California companies — large and small — are benefiting from this sonic boom. "This is a little bright star," said Jane Ventom, vice president for Hollywood-based EMI Music Marketing. Next month, Capitol/EMI will launch "From the Capitol Vaults," with the release of 13 titles on vinyl, including Radiohead’s "OK Computer" and Steve Miller Band’s "Greatest Hits 1974-1978." "I have family friends whose 10-year-olds are asking for turntables," said Tom "Grover" Biery, Warner Bros. Records’ executive vice president of promotion and the Burbank-based label’s vinyl guru. Olson and Bowers knew they were on to something when they sold 4,000 copies — their entire vinyl inventory — of rock band TV on the Radio’s "Return to Cookie Mountain" in 24 hours. "We thought we’d sell 100 a month, and the day the solicitation went out, they were gone," said Bowers. Biery’s light bulb moment came three years ago when Neil Young came to Warner Bros. to play his greatest hits album for the staff. "At the end of it," Biery recalled, "he did a whole speech about how sound matters and someone needs to stand up for sound." Inspired, Biery went to his boss about Warner Bros. releasing vinyl made with loving care, "from mastering to pressing to the jacket," he says. In the three years since the initiative started, Biery said Warner Bros. has gone from pressing 2,000 vinyl copies of a title to up to 15,000 copies. "Vinyl is still really a niche thing, but it’s a bigger niche to the point where the accounting department is actually asking me about projections now," he said. Similarly, Warner’s sister label, Rhino, has ramped up with Rhino Vinyl. In the last quarter of 2007, Burbank-based Rhino released five titles. For the same period this year, the tally will be more than 30 — many in conjunction with Warner Bros.’ 50th anniversary. "Vinyl is no longer an afterthought," said Rhino’s Cheryl Pawelski. Like many labels, when Rhino releases a new title such as the "Juno" soundtrack on vinyl, the company either includes a CD version or a code to digitally download the songs. The resurgence is having a snowball effect. At Record Technology Inc., a once-beleaguered pressing plant in Camarillo, owner Don MacInnis said that "business is the best it’s been in 20 years." When vinyl started its rebirth, RTI operated on banker’s hours — five days a week, eight hours a day. Now, "we’re running 16 hours a day, six days a week," MacInnis said. And he’s turning away clients. RTI’s average pressing per title over the last few years has doubled to 3,000 units, with orders frequently topping 10,000 copies. This summer, ORG will release a four-vinyl-LP, 10th-anniversary edition of Beck’s "Odelay." The original CD booklet will be re-created for the 180-gram special package, which will carry a suggested retail list price of $60. Most major labels are releasing a mix of new and vintage titles, but at West Los Angeles retailer Record Surplus, which sells used vinyl, CDs and DVDs, the classics never go out of vogue. "Led Zeppelin doesn’t stay for more than two days," said store co-manager Neil Canter, adding that sales of rock vinyl have doubled in the last few years. "Pink Floyd — as soon as I put it out, it sells." Amoeba Music in Hollywood sells about 2,000 vinyl LPs a day, up as much as 15% compared to a year ago, said store marketing executive Ilene Barg, adding that turntable sales there have risen 10% to 15% compared to last year. Many of those sales are to an audience experiencing vinyl for the first time. "I’m seeing actual young, attractive people at Record Surplus," joked David Gorman, co-owner of L.A. indie label HackTone Records, which will issue its first vinyl release, "Ready for the Flood," from former Jayhawks Mark Olson and Gary Louris this fall. 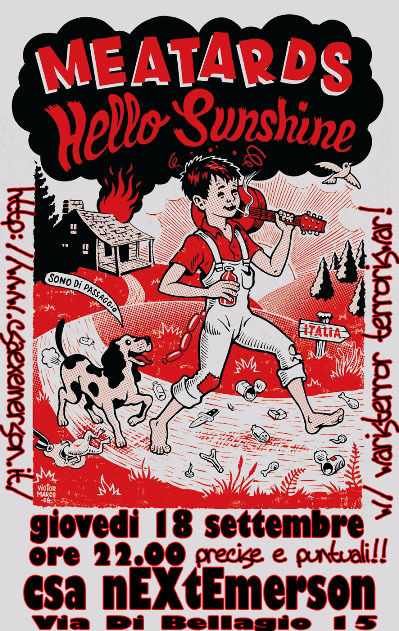 You are currently browsing the streptos music blog archives for September, 2008.